Join Lloyd Construction in celebrating and honoring our military and first responders at this year’s Cowboys for Causes Rodeo Event. This year Lloyd Construction is donating 200 tickets to local area military and first responders, as well as for prizes on KIIM-FM 99.5 and K-HIT 107.5. So, join our winners and guests at this heart stopping event. You will get to see 32 of the Southwest’s top bull riders take on the area’s biggest, baddest bulls. Barrio Brewery will be providing fresh, cold beverages and Adam Pearsons Smoke Stack BBQ will be serving up hot, delicious food. 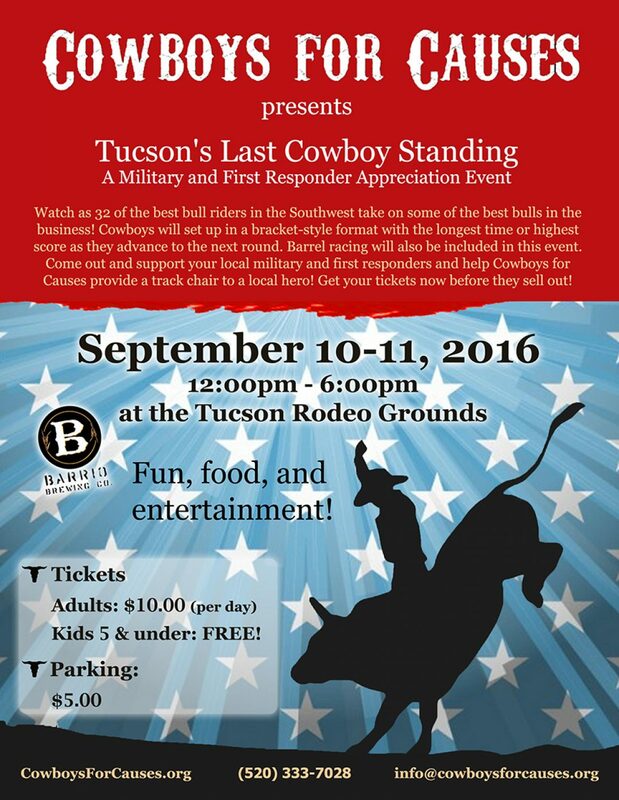 The event is taking place 12:00 – 6:00 pm on September 10-11, 2016 at the Tucson Rodeo Grounds.